Dr Jennifer Dickfos obtained her undergraduate accountancy and law degrees at the Qld Institute of Technology and Qld University of Technology respectively. 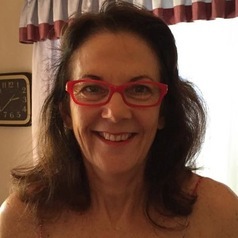 Although she has been employed by the Australian Taxation Office and a number of large and small accountancy practices in their audit, tax and small business divisions, the majority of her employment has been as an academic in the Business faculty of Qld University of Technology and in the Law and Business faculties of Griffith University. She currently lectures in Business law and Company law at Griffith University’s Gold Coast campus. Jenny has a Master of Laws from Qld University of Technology and gained her PhD from the University of Queensland. Her dissertation was entitled: Specific Conflicts of Interest and Debtor Opportunism within Corporate Groups: A case for additional creditor protection. Her principal legal research interests are in the corporate law / insolvency law areas including corporate groups, creditor protection measures, and phoenixing, whereas, her teaching interests concentrate on the use of blended learning technologies in tertiary teaching.